N8 Director Peter Simpson was part of a panel of experts that discussed post-Brexit agenda at a leading health conference in Liverpool. 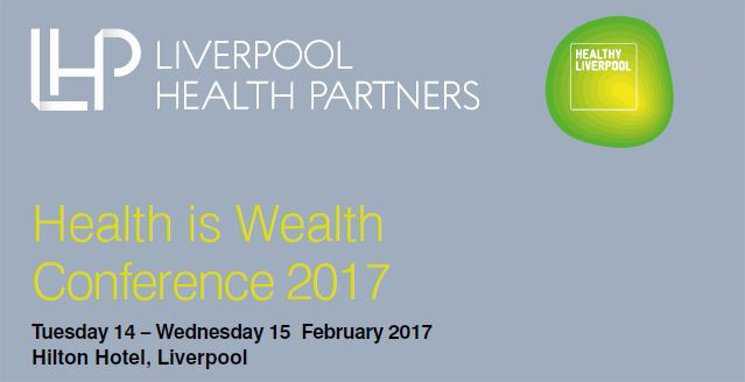 Dr Peter Simpson was a key note speaker for the opening session at this year’s Health is Wealth: The Post EU Agenda conference, which was held in Liverpool on 14th February. In his talk, Dr Simpson spoke about the growing strengths of life sciences in the North of England, the region’s hotspots of excellence and how to identify the clusters within the life science sector that can collaborate. Dr Simpson also discussed the importance of networks, such as N8, that encourage businesses to work together, including Corridor Manchester, Liverpool Health Campus and Alderley Park. The two-day conference, which was formed by Liverpool Health Partners, aims to connect key decision makers in the healthcare sector with researchers, innovators and businesses. The LHP showcases the region’s latest research and innovations and supports collaboration across health services, academia and industry. Dr Simpson said: “This year’s Health is Wealth conference was a valuable opportunity to highlight the innovation strengths within the North of England. Other key note speakers on the panel were Professor Sir Munir Pirmohamed, Executive Director of LHP, Katherine Sheeran, COO of Liverpool CCG, Strategy Consultant and author Robert Madelin, Max Steinberg, Chief Executive of Liverpool Vision and Dr Liz Mear, Chief Executive of Innovation Agency. Professor Sir Ian Gilmore, LHP Chairman, said: “Good health is critical to the wealth of individuals and to that of society as a whole.